In today’s dynamic and ever-changing environment, it is imperative for every business to have sustainable yet dynamic systems and processes in place. SMB Catalyst takes great pride in having identified robust processes that ensure higher success rate for our clients. The processes have been evolved based on years of experience and testing them across multiple clients from varied sectors making them industry-agnostic. Founded in 2013, SMB Catalyst started its journey with the intent to service small and medium enterprises. The founding team had worked with large consulting firms and MNCs. During their professional stints, the team realized that SMEs do require a lot of help, but they hardly have access to consulting firms primarily because of budget constraint and lack of awareness, keeping their growth remains elusive. 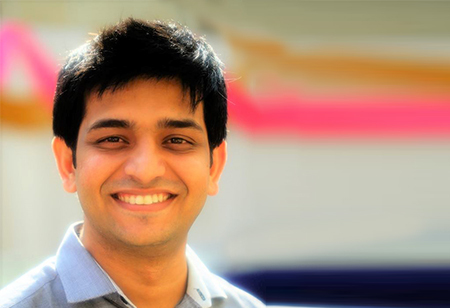 “We realized it to be a volume-driven and not margin-driven,” asserts Mihir. Initially, the company did have a rough start. The challenge was balancing the client’s low paying capacity versus working with a top-quality consultant, which comes at a higher cost. The company overcame this by creating anin-house Distributed Excellence Model (DEM). It not only ensured the quality of the deliverables but also helped them manage the cost better. The model also is enabling them to retain good talent. When spoken to Vidit and Ujjwal, Sr. Consultants at SMB CATALYST they said, “Working with SMEs is not only exciting but also has led to our strong learning curve in a very short duration. SMB Catalyst believes in helping small and medium-sized businesses create sustainable growth and continual improvements by using innovative techniques and solutions. The company has implemented a plethora of solutions in Strategy, Operations, Talent Management, and Technical Consulting, and enables SME’s unleash their true market potential. Few of its turnkey solutions include business process redesign, talent alignment & management, detail diagnostic study, MIRS, strategic definition and planning and strong management capabilities among others. SMB Catalyst ensuring its clients’ perspective as a priority redefines and realigns the strategy based upon business needs & requirements, thereby assuring 100 percent commitment and right prioritization which provides a suitable solution for the businesses. Enthralled to provide result-oriented and cost-effective solutions to its clients, SMB Catalyst follows employee first policy which in turn ensures that the employees have the client as a priority. And, all its solutions are scalable and fine-tuned for SME needs. Headquartered in Mumbai, SMB Catalyst has offices in Baroda, Chennai, and Delhi. The company offers its services PAN India. The team consists of three partners, 15+ management consultants and 11 advisory board members, who help internally to boosting sales, strategy, and technical framework. The company employs hands-on strategic and operational models developed, evolved and tested based on years of experience to help its client meet their business objectives. SMB Catalyst with the agenda to unleash the market potential to its clients, addresses above mentioned challenges by offering customized, cost-effective and reliable solutions that help businesses to thrive on a long-run and grow organically.